An industry expert is cautioning brokers on smarter, better-organized mortgage fraudsters, more professional than the familiar mom-and-pop operations that once challenged the industry. 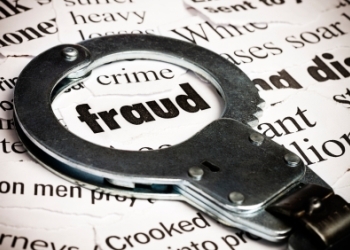 “There are really clever people out there, and they will get by the smartest person,” says Jeremy Nicholls, the manager of fraud and investigations with Servus Credit Union in Alberta, arguing the best defence is good vetting and, even, better bookkeeping. Nicholls has investigated mortgage fraud and taught brokers on how to ferret it out and then combat it in the application process; but for brokers hoping to avoid that phone call from investigators to start with, it can be as simple as asking a few questions of the prospective client. “Identity is key, and clever questioning about their identity, asking for the reason why they want the loan,” Nicholls says. One prevalent mortgage fraud is straw buyers, who are fronts for organizations and are unlikely to have a criminal record. They’re often desperate for cash and willing to sign their name to a fraudulent loan. But sometimes identity documents can be so well forged that even an expert cannot tell which is or isn’t real. Scott Dawson, a broker with Verico Paragon Pacific Mortgage, has seen his share of fraudulent paperwork. That is when a broker needs to start asking questions – and lots of them. “What is your intention with this property? Are you moving? Is this a rental for you, or will you be renting it out? Why are you going there? Detailed questions like these are going to flush out your straw buyers,” says Nicholls. As for lenders, Nicholls sees a simple solution to eliminating a lot of mortgage fraud. One of the tell-tale signs of potential fraud are multiple lenders handing out loans on the same day of registration for the same property. “That is lenders not talking to one another,” he says. These people run in groups, with a builder and a lawyer on the payroll, sometimes an appraiser. "These people run in groups, with a builder and a lawyer on the payroll, sometimes an appraiser." And sometimes a mortgage broker... too often a mortgage broker. How about an electronic verification of Notice of Assesssment with CRA? The borrower signs a consent to cover off privacy...bingo...anyone interested in this? I agree with your comments that much of the time the mortgage representative is involved. You wouldn't happen to be a lawyer Joan E.?